Berkeley, CA - Federal officials are investigating anti-Semitism allegations at the University of California, Berkeley. 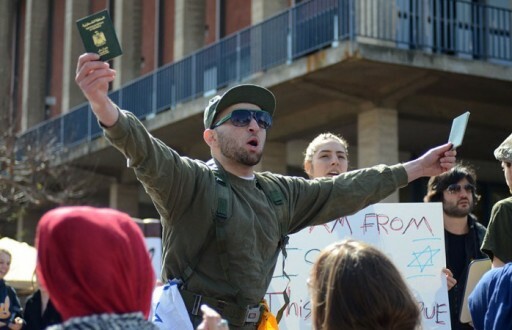 The Los Angeles Times (lat.ms/PXFtXq) says recent graduates claim university officials fomented a hostile campus climate for Jewish students by failing to curb anti-Israel protests. 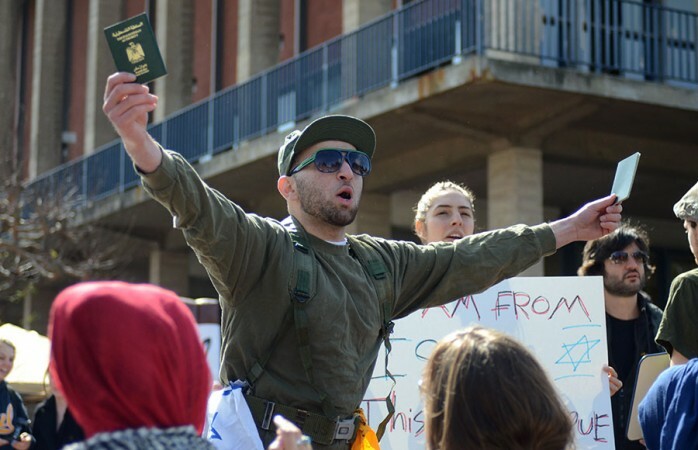 They say a protest against Israel’s treatment of Palestinians was one of several February campus events that stoked anti-Semitic hate speech. The U.S. Department of Education’s civil rights office confirmed this week that it is investigating the allegations. University spokesman Dan Mogulof says the protests were constitutionally protected speech and officials made efforts to maintain a safe and inclusive climate. The modern-day Jew haters (not the loser Nazis of yesteryear) are located in today's hard-left. What you might call the Daily Kos wing of liberalism. And UC Berkeley is a known haven for hard leftists. A small vocal group of whack jobs who make the biggest noise is all you seem to know about Berkeley, one of the nations leading education and research institutions in science and engineering. They are a small minority and since the vast majority serious students are busy studying and researching you get a very skewed picture. You apparently not only have no understanding of what makes someone a "leftist," as, by all factual indications, Obama's positions are squarely in the center, except as compared to today's extreme right-wing. You also know nothing about UCB. While the school definitely was majority on the left in the 60s, it is absolutely ridiculous to say so now. California in general, and Berkeley in particular, are liberal parts of the country, but there are very many students of all political stripes at UC. The only wacko I see here is someone who is willing to stereotype thousands of students on a campus he likely has never once visited. since the democratic party has become so left leaning,ie not wanting G-d or the status of jerusalem in their platform,one could perhaps characterize Obama's positions,as stated in the last 5 years,as center.clearly if one knows anything about his pre-presidency days,it's clear he's a radical lefty. if you know people from berkley,as i do,they will tell you the entire city is still very much a counter culture place ie wacko. You are not basing this conclusion on any facts, but repeating something that you have heard from others equally devoid of facts. If you were to look at the policies of the current Democratic Party, and Obama in particular, and compare them to those of the past, you would see that Obama's policies are quite similar to Nixon's. The left wing of the Democratic party has never really supported Obama, though we will vote for him as the better option. If would really help you to do some reading in the areas of history, economics, and political science, because repeating what you hear on the radio is not equivalent to knowledge. There are more than 100,000 people in Berkeley, and your conclusion that the entire city is "wacko" is no more accurate than a conclusion someone could make as to the educational level of the neighborhood you live in based on your postings on VIN.